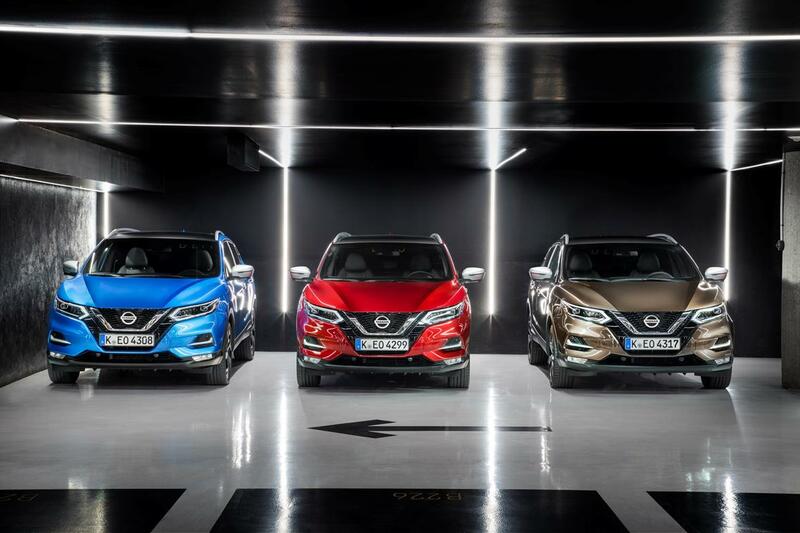 Qashqai gets an all-new range of gas powertrains, an all-new Dual Clutch Transmission, and an all-new infotainment system – New NissanConnect – that enhances relationship between driver and vehicle. Nissan is providing a new level of performance for drivers seeking the ultimate urban crossover. The Qashqai, Europe’s best-selling crossover, is now more appealing than ever with a new range of highly efficient gas powertrains, plus an all-new infotainment system with significantly enhanced functionality. The Nissan Qashqai is now on sale with an all-new 1.3-litre gas engine, available in 140 PS and 160 PS outputs. It is available linked to a six-speed manual transmission and an all-new seven-speed Dual Clutch Transmission (DCT), both of which are front-wheel drive. It’s the first time a DCT has appeared in a volume Nissan model, and provides customers with a sporty and more direct dynamic experience and improved standing-start performance. As well as providing reduced fuel consumption and lower CO2 emissions, this enhanced gas powertrain lineup sets a new standard for drivability in the Qashqai. Customers will notice improved response and acceleration through more power and torque, smoother and more linear power delivery, and a quieter driving experience. Service intervals are also extended. All three new powertrains are extremely competitive versus those available from other manufacturers, and in many cases the level of CO2 emissions is significantly lower. Nissan’s all-new infotainment system with significantly enhanced functionality is now available in the Qashqai crossover. New NissanConnect is an all-new advanced infotainment system, which further enhances the relationship between driver and vehicle. The benefit for customers is seamless and intuitive integration of their smartphone with the vehicle, plus the ability to download Over The Air (OTA) map and software updates. Apple CarPlay and Android Auto are included as standard on all grades, except entry level Visia. Users are encouraged to download an all-new app – called Door to Door Navigation – to their smartphone to unlock enhanced functionality. New NissanConnect also features TomTom Premium Traffic, which provides highly accurate real-time traffic data to optimize travel time.